New Hampshire is a state full of history, heritage, and culture. This lush state is the perfect weekend getaway providing you with enjoyable scenic drives throughout the entire state. 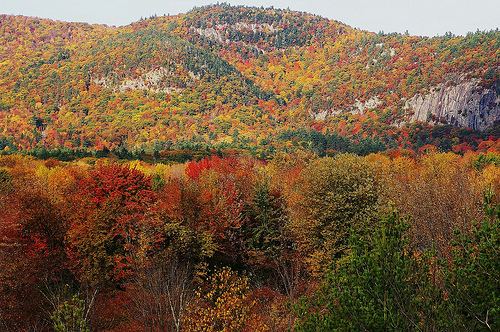 New Hampshire is heavily forested with an abundance of elm, maple, beech, oak, pine, hemlock and fir tree. This wide variety of trees provides you with the perfect location to plan your next foliage tour! This New England getaway allows you to appreciate the beauty of mother nature while traversing the countryside packing your weekend full of historical adventures. New Hampshire is a region overflowing with history. Cross into Native American territory, step inside a beautifully adorned home of a colonial governor, or be swept up in the local historical society. No matter where you choose, you will be amazed as history comes alive. New Hampshire is home to 67 state parks, 1300 glistening lakes and ponds, and an abundance of wildlife. This sprawling countryside is known for its scenic mountain rides, picturesque hiking trails, mountain national forests, thriving wildlife, and endless breathtaking views.